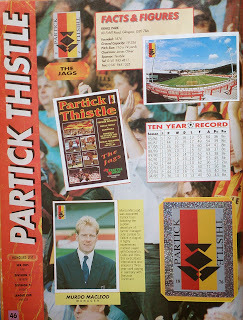 A Jagscast blog last week, before our opening SPFL Premiership (honestly, is that what it's called?) 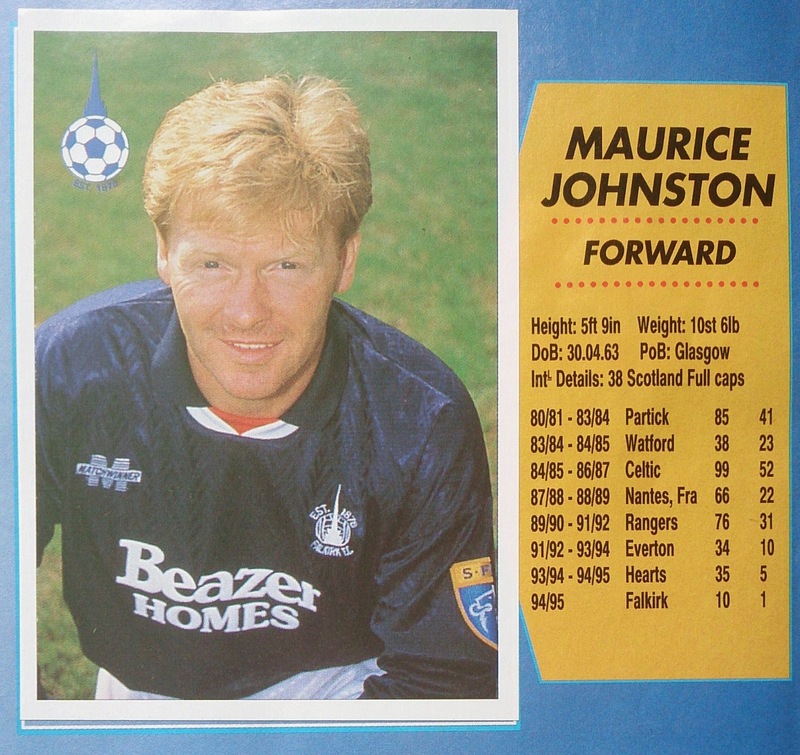 fixture against Dundee United has looked back at previous encounters between the two teams. 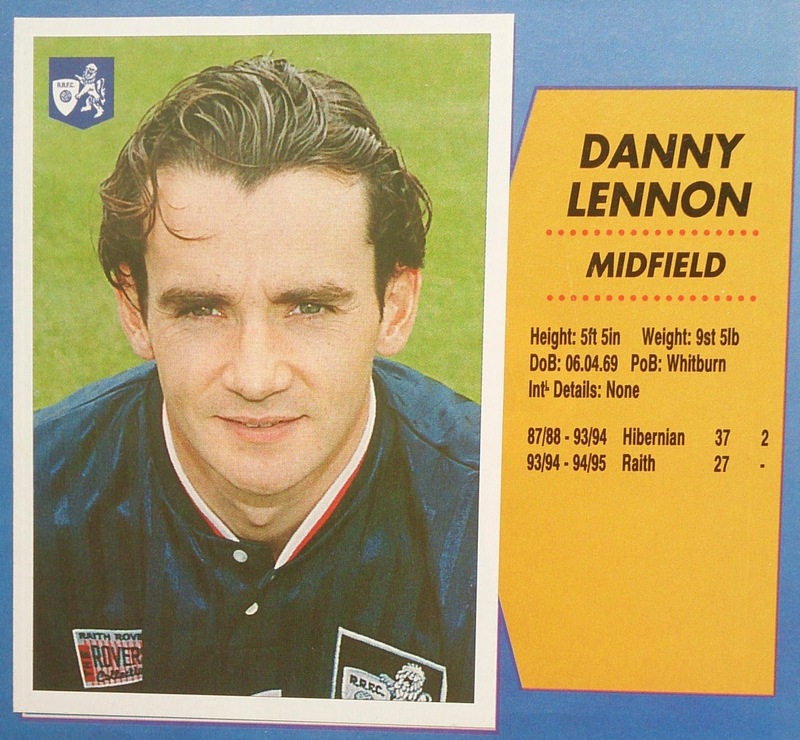 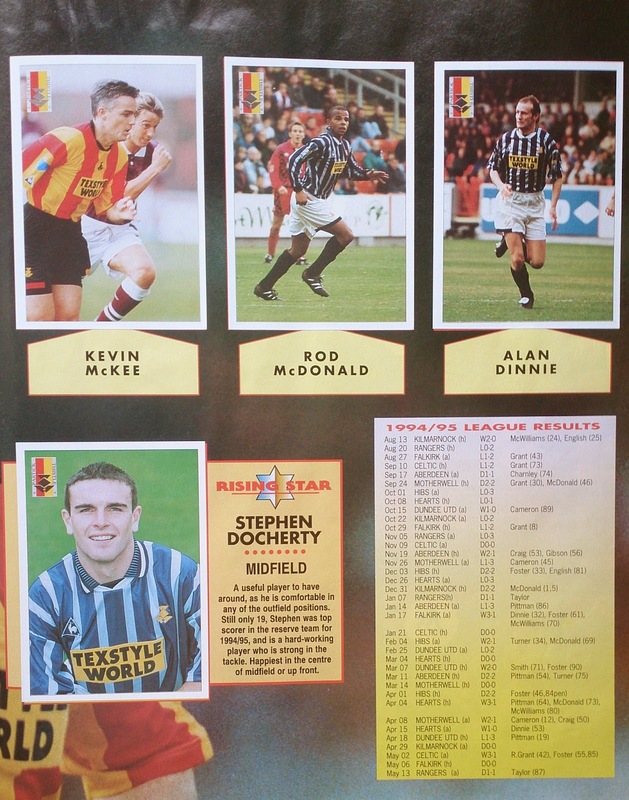 Top of their list was the relegation play-off at the end of the 1995-96 season, when Dundee United beat us over two legs to join Dunfermline in the top league, whilst we joined Falkirk on the way down. 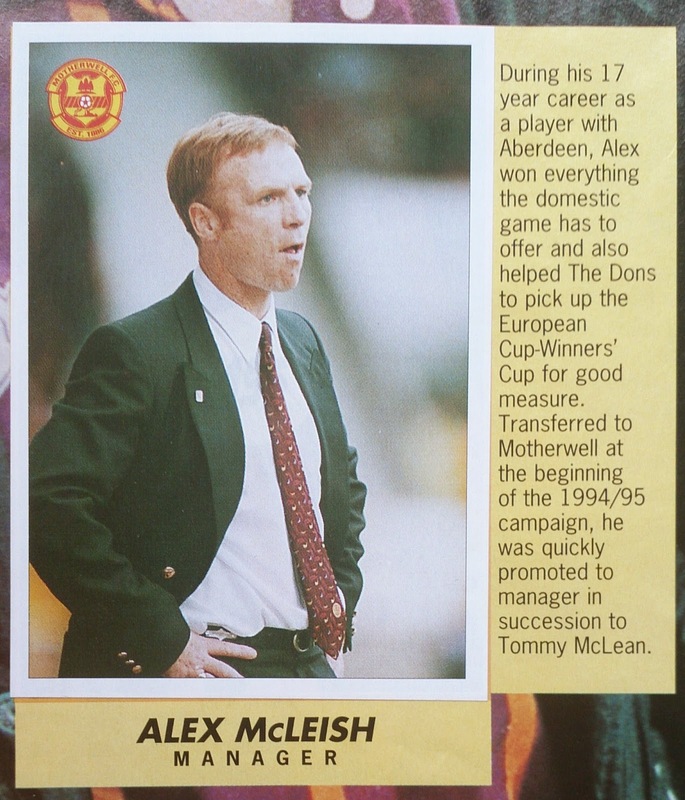 For us this was the start of a financial collapse that almost saw the end of the club and a slump to the lower end of the third tier over the next couple of years. 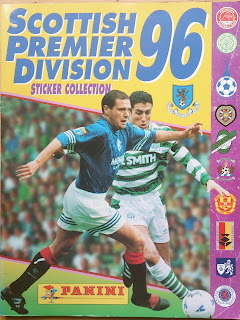 With my nostalgia for those heady days awoken by that blog I went rummaging in the garage to see what I could find to remind me of those times. 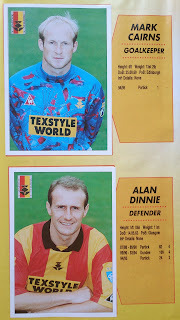 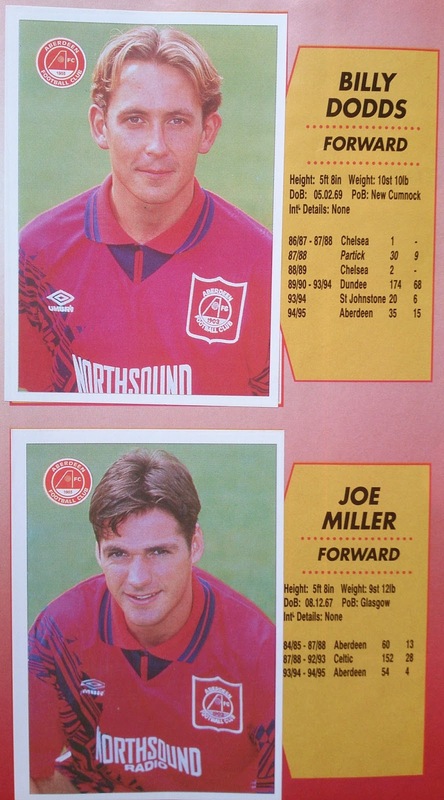 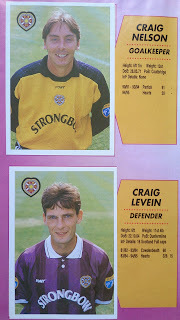 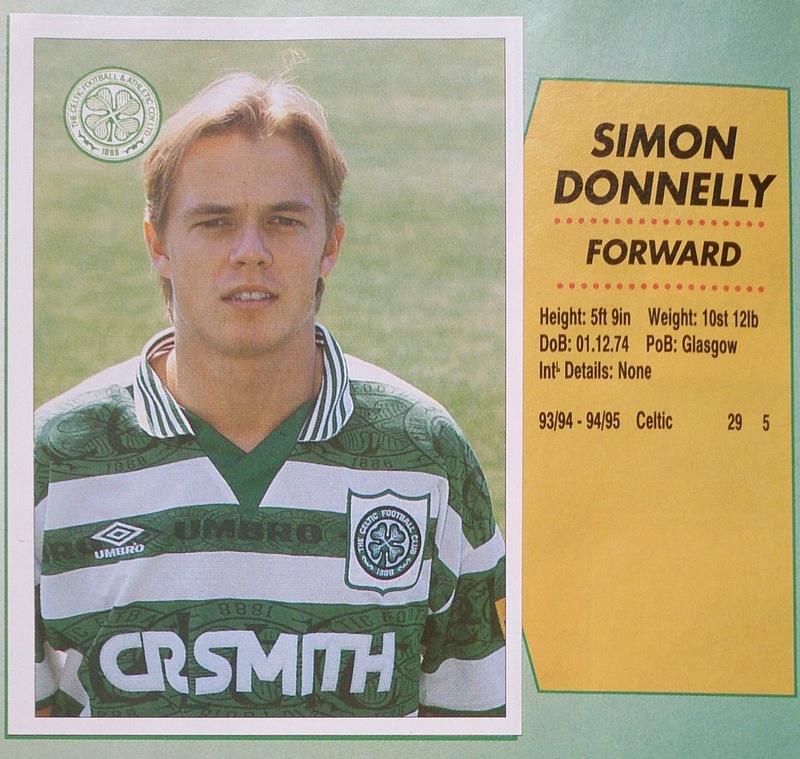 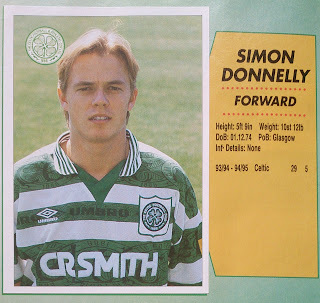 I was pleased to find an old Panini sticker album of that season and I thought I'd share some of the Thistle treasures I found within. One thing I'd say is that it wasn't a great year for goalkeepers' strips. 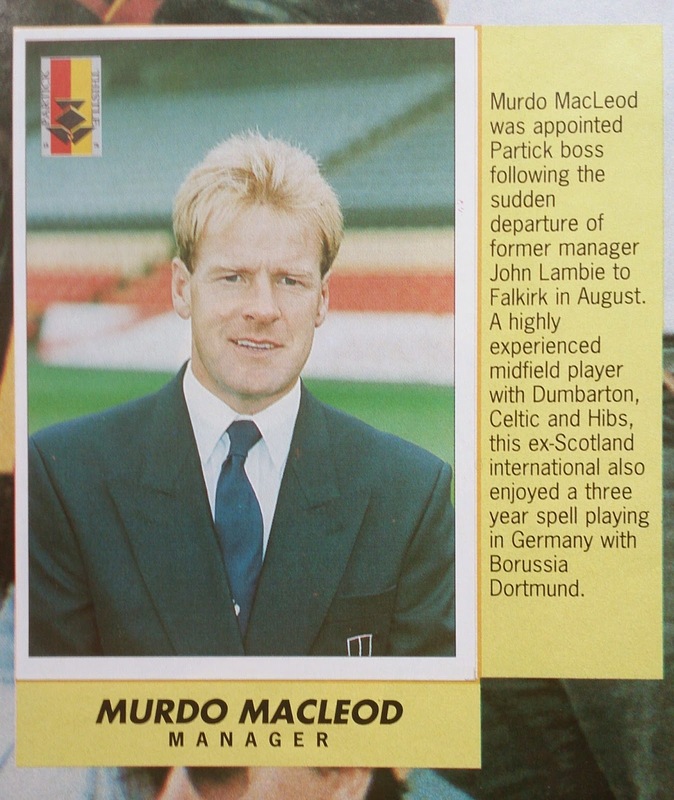 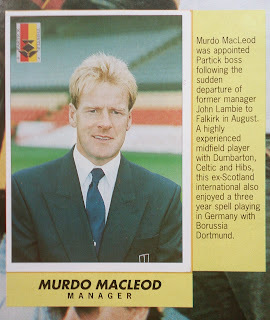 So, to the Partick Thistle page....oh, that's who started as manager that year after Lambie and Gerry Collins had ben enticed to join Falkirk (and were promptly relegated for their troubles). So what about the squad then? 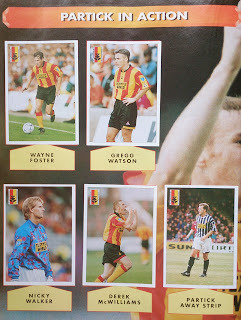 I shall just put all the photographs up without comment and you can see how it compares to the current squad. 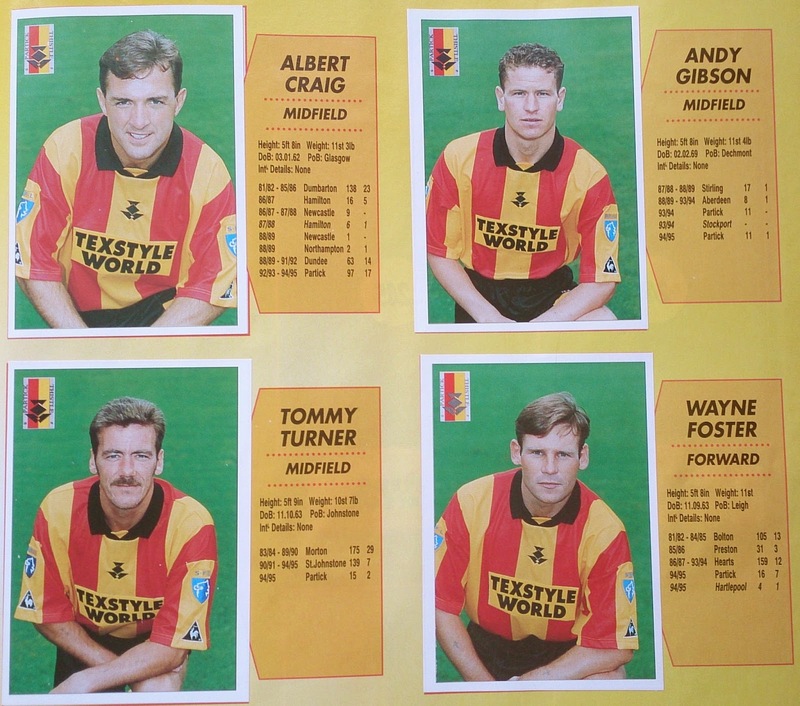 Each team section is finished off by the rather exaggerated claim of the players "in action". 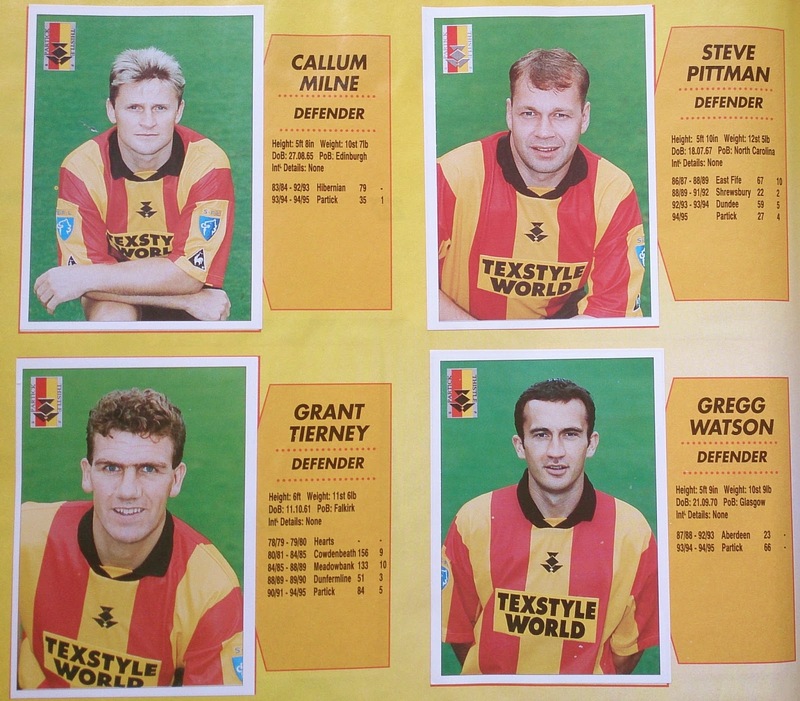 Here are the Thistle players "in action", which also displays that year's honking away top to all those grumbling about this year's uninspiring effort. 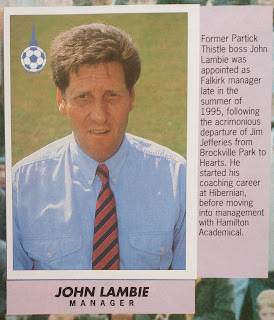 As usual there is one of my pet hates as we end up being called "Partick". 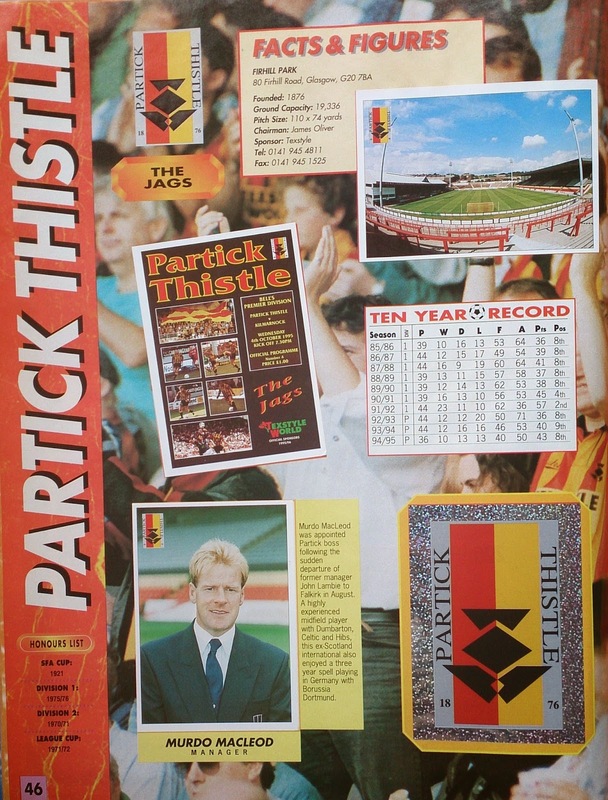 To anyone reading this who doesn't know, we have never been "Partick", stick to Thistle or Partick Thistle please. 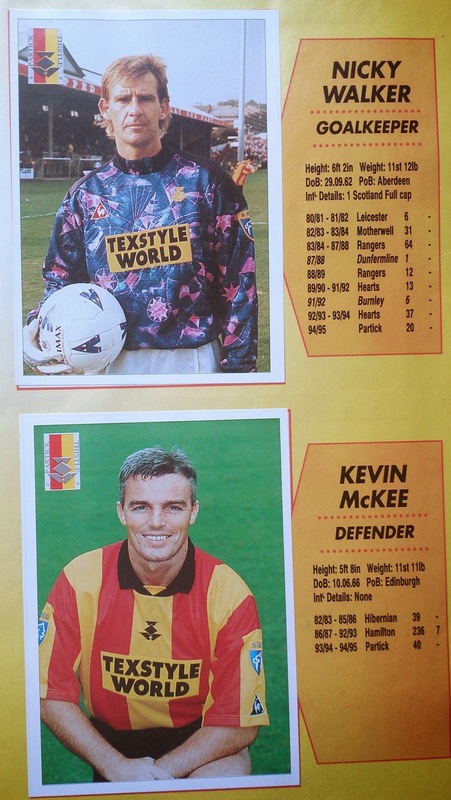 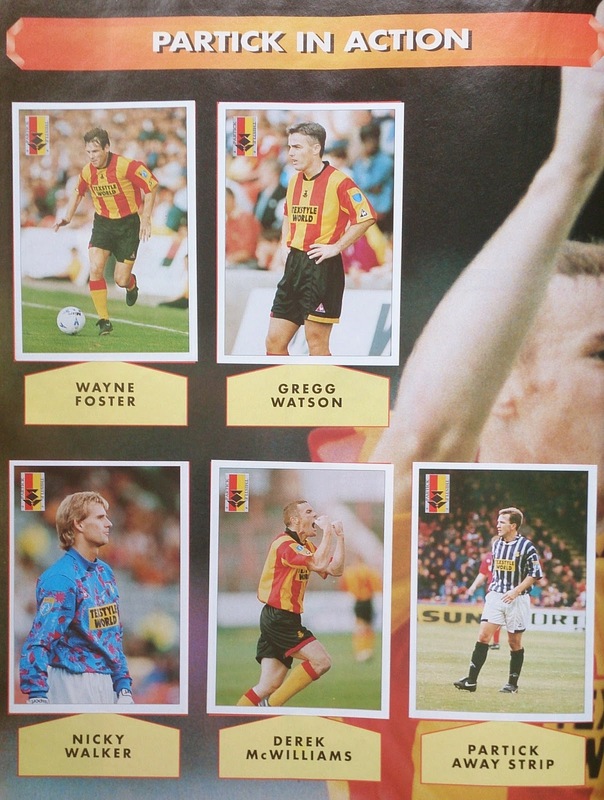 To be honest, Thistle's photographs are not too bad, except for Nicky Walker's jersey. 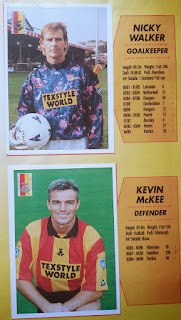 So I had a wee flick through to see who else with Thistle connections was in the album. 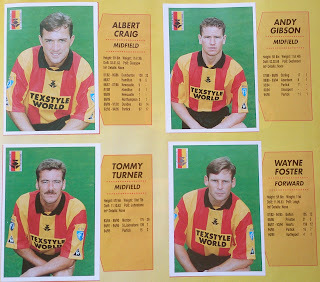 Here are a few for you. 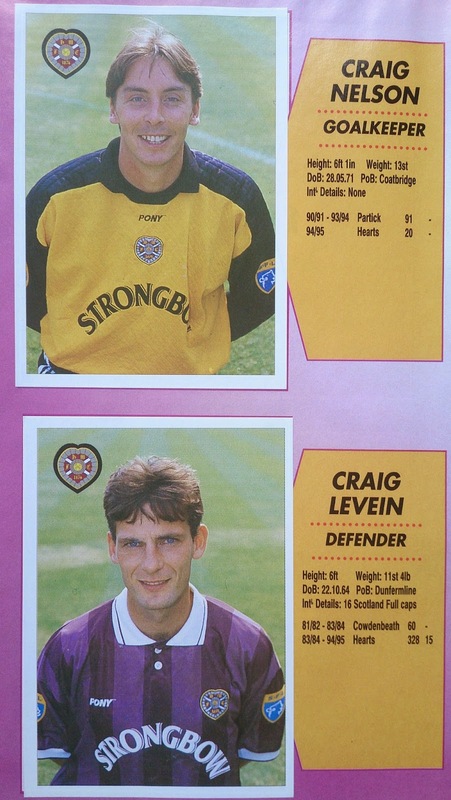 On the Hearts page there is someone who should have been Scotland's No. 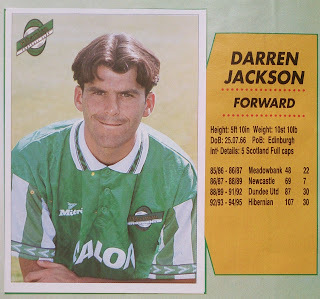 1, positioned above someone who shouldn't have been allowed near the national team. 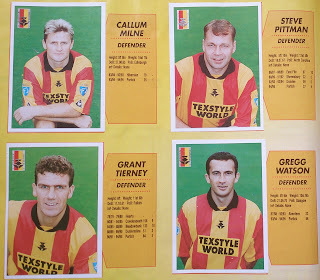 Finally here are a few random pictures to remind us all what a collection of global superstars Scotland's top league can foster, as we get ready to rejoin it. 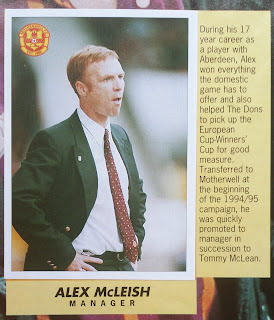 So that's enough nostalgia. Here's hoping that 2013/14 is remembered with greater fondness than 1995/96.